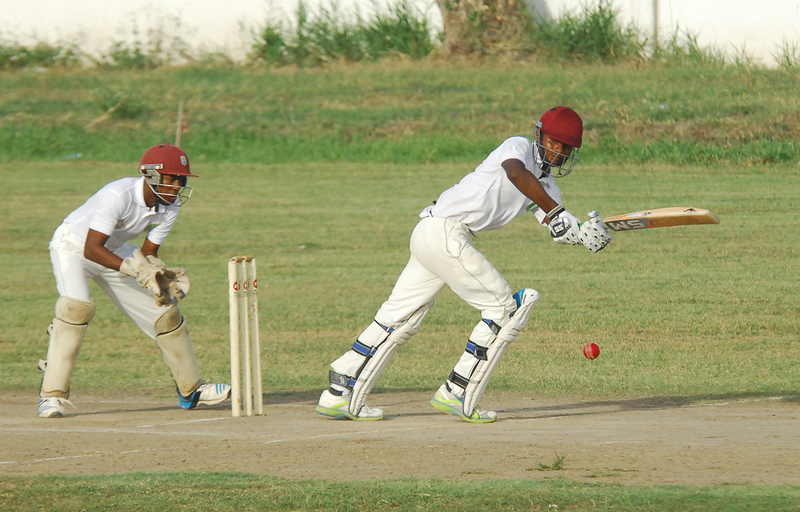 Left-arm spinner Akini Adams’ six-wicket haul coupled with an unbeaten 50 from Mark Williams gave Essequibo the edge against the Under-17 Select when round two of the Guyana Cricket Board (GCB)/Hand-in-Hand Three-Day Inter-County competition bowled off yesterday. 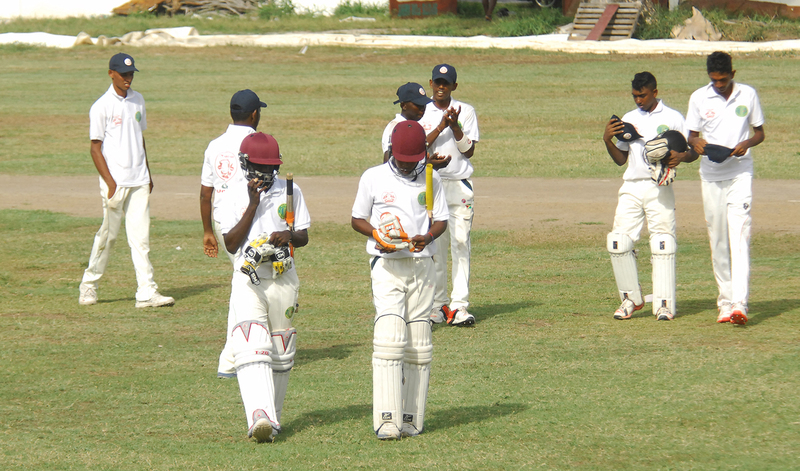 Playing at the Demerara Cricket Club Ground (DCC), the Cinderella County boys were firmly placed on 72 without loss at stumps after the opener Williams thumped a quick-fire 57 to help take his side within 171-runs of their deficit during their chase of the U17’s first innings total of 243. Adams has been the x-factor for Essequibo in recent times and showed his skills again yesterday ending with 6-74. Despite the momentum swinging towards Essequibo from the last session onwards to the close of play, the U17s batsmen; Alphius Bookie (58), Kevin Sinclair (48), Joshua Persaud (38), Javed Karim (26), all showed great character during their respective innings. 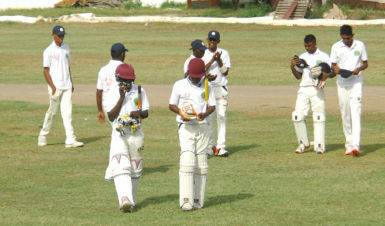 The left-handed Williams and his partner Persaud wasted no time in establishing themselves as the more senior players. Both batsmen were confident in their approach with Williams clobbering boundaries to race to his 50 at close of play on the first day. Earlier, after losing opener Bhaskar Yadram for 07, the youngsters launched a brave counterattack against the Cinderella County boys to take the score from 9-1 to 72-2. When the other opener Karim was run out after looking good in his 20’s, Persaud and Sinclair joined forces to frustrate the Essequibo bowlers. Persaud was stylish during his knock, striking some five fours and six before succumbing to spinner Looknauth Chinkoo who picked up two wickets. Chinkoo followed up his first wicket with by depriving Sinclair of his 50, when the Berbician provided a simple return catch to the bowler. Despite a few losses, the starts provided at the top of the order helped lay a good foundation for the rest including Bookie who played an aggressive hand, coming in at a point where his team was strongly placed. Adams flourished late in the innings, picking off the U17 batsmen who failed to post significant scores with the exception of Ashmead Nedd who came off of his two ducks in the first round to thump a couple of sixes in his 16. When the 200-run mark was met at tea, the final session belonged to Adams who mopped up the lower-middle order and tail-enders to afford his side the chance of making a good first innings score on the first day. The match resumes at 9:30hrs today.